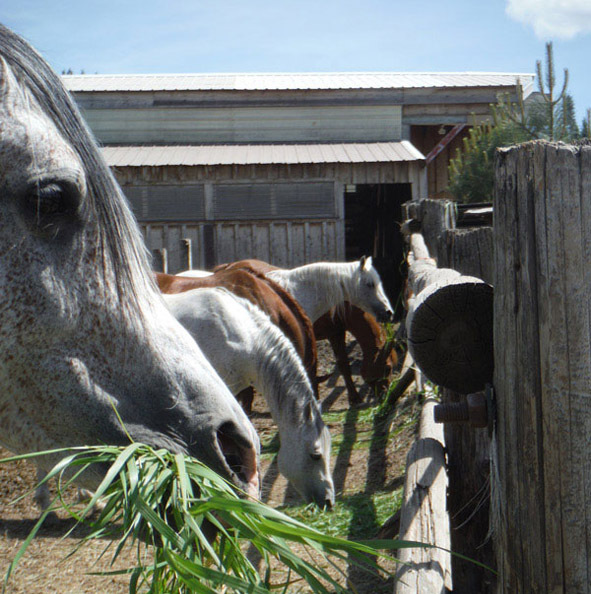 We realize that there are many horses that will never be able to find a permanent home due to a range of reasons. 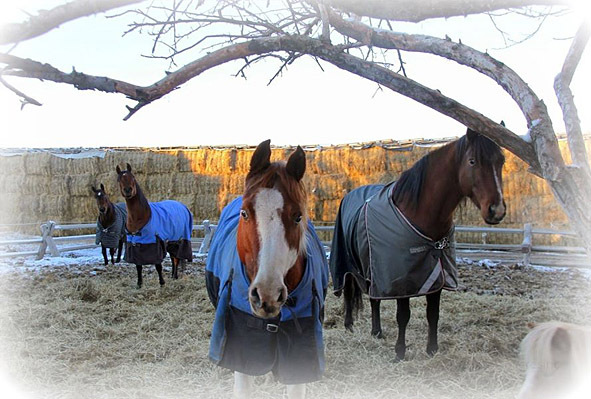 We determine each horse's adopt-ability and individual potential and, if for some reason, we deem that the horse would not do better elsewhere they are admitted into our permanent herd. All our horses spend their time at Orphan Acres being handled, cared for, and loved by the over 800 volunteers of all ages every year. This is reflected in the consistently good looks and temperaments of each of our residents, both young and old. 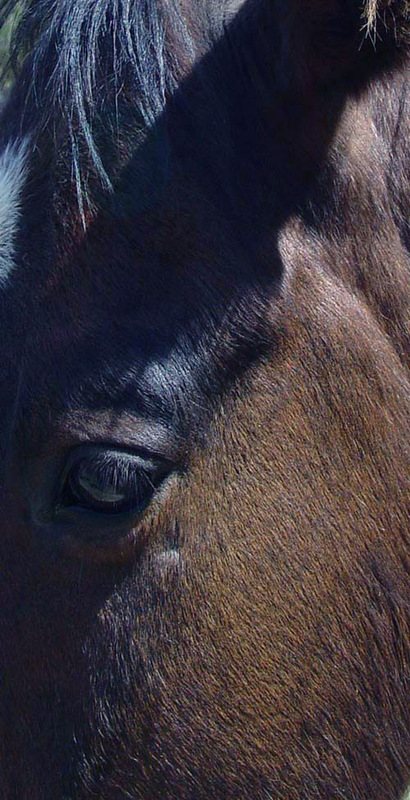 We have many types of horses, from retired off-track-thoroughbreds, to old cow horses. 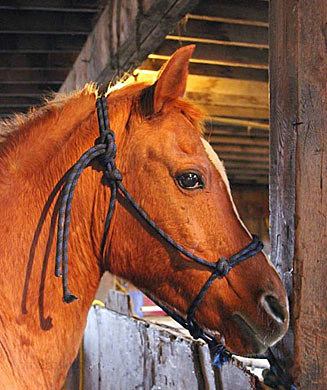 Many horses can live long lives, but their owners, for whatever reason, can no longer care for them, leaving them homeless. Many horses that have served their owners well, and have found themselves without a home, can come and age with grace and dignity at Orphan Acres, Inc. We take great care with our permanent herd as many are elderly and require supplementation and special care. We take it as an honor to be able to allow these seniors to live out their remaining years with grace and dignity here at Orphan Acres, Inc.
We get a lot of questions about these boys, seeing as they are stallions. "What?!" You may be thinking, "What is a rescue doing with stallions?!" Well, old stallions also need a place to go also to retire. Every stud we can geld we do, but due to a variety of reasons, mainly old age, along with medical conditions, and/or legal complication, with a rescue we can not get them gelded. These are also, for the same reasons, horses we cannot re-home. Kept separate (in a very secure!) barn, these special boys, in their 20s, with Mr. turning 38 in 2015, are given tons of enrichment and stimulation, living together peacefully just like a wild bachelor herd. Very few volunteers interact with these horses, as even though they are some of the best mannered horses, they are still stallions. Most of these boys are over 20 years and are not above begging for treats as people walk by. If you visit the rescue don't be surprised if Dream greets you with a nicker! We currently are one of very few rescues that supply a permanent retirement home for stallions. Thank you for supporting horses who had nowhere else to go. 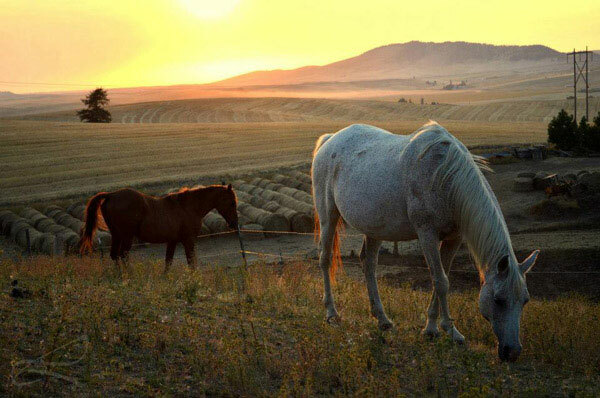 Winter will turn into spring, and when it does, when the Palouse is just beginning to warm up again, you might even find one of our volunteers curled up in the straw, fast asleep in the sunshine with one of the young horses. Or donations can be made by check or money order.